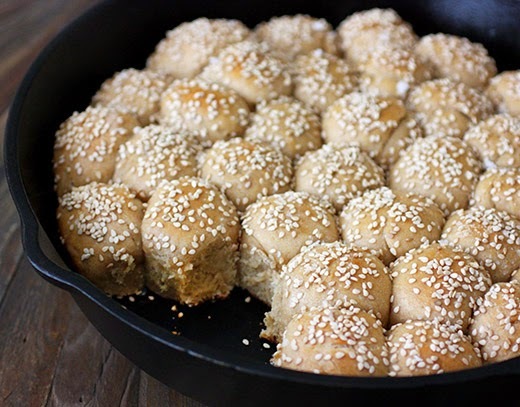 Love the rustic look of those dinner rolls! These look superb! Good rolls are beautiful, and this are. Great job with this -- thanks. I LOVE the philosophy of this book already, Lisa! You are to be commended for staying true to the recipe as written. I'm sure it made all the difference. The rolls look heavenly!!! Lovely, perfect rolls, Lisa. I think grandma would approve! crunchy seeds on top sound great, especially in contrast to the ultra-fluffy innards! these look fun and delicious, lisa. You always introduce me to the most interesting cookbooks. This one sounds like a winner, and your rolls look gorgeous. i love buttermilk and these rolls look delicious! There is nothing better than the aroma of freshly baked bread, especially at this time of the year. You truly inspired me Lisa! These rolls must taste delicious with honey and buttermilk...I need to try baking them. These rolls look great. 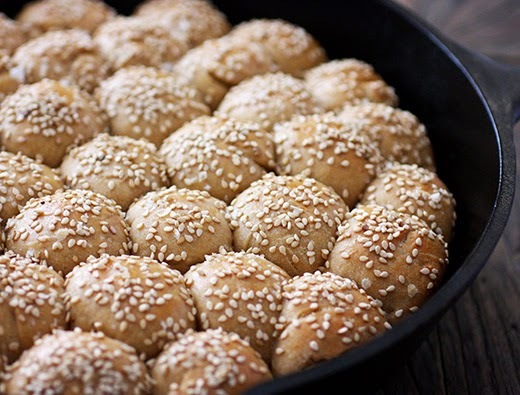 I love all the benne seeds and can imagine how delicious they make the rolls. Thanks, Lisa! Lisa, those are the cutest rolls! I love the bite size and buttermilk in the dough. 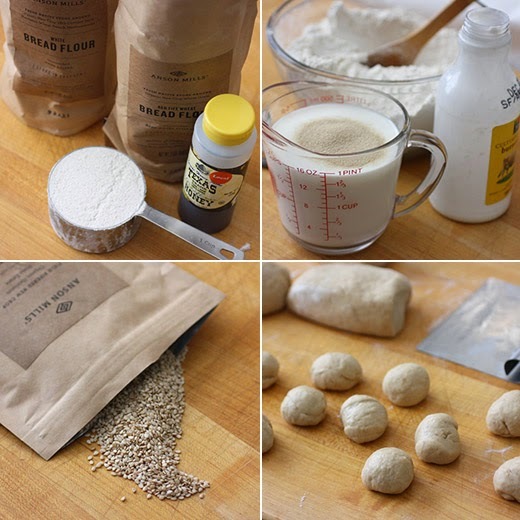 I've never tried Ble Marquis flour (nor even heard of it), will look into it now, plus the benne seeds. Always thought they were the same as sesame. Oh what a wonderful recipe which I will be trying! I think understanding our own history and our own culinary history, whether personal, local, regional or ethnic, is so important and does indeed make us appreciate the food we cook everyday more. And preserve recipes and traditions which makes our own lives and cooking experience richer. Preserving a heritage means our food not only has meaning to us but just makes sense - gives meaning and organization to what we eat. I can't explain what I mean but I agree so much with Sean Brock. You explained it perfectly! Well said. I have been reading and hearing about Sean Brock so much lately, and his cookbook is getting rave reviews. I've tasted traditional benne wafers, yet I think that on buttermilk rolls, they would be delicious. I have some of the Carolina gold rice; it is becoming more well-known and sells out as fast as it is on the shelves in the Lowcountry....you can also order it online -- look for the yellow bag. I give it to many people for gifts when they visit us in S.C. Great post Lisa!